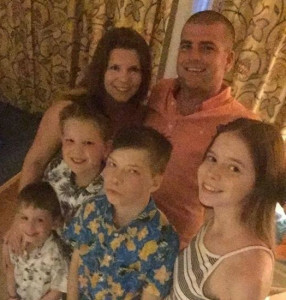 Thanks to the specialist solicitors at Holiday Illness Claims, a family from Portsmouth have successfully received £3,800 in damages after sickness and diarrhoea crashed their dream Dominican Republic getaway. The Bickerton family jetted off to Grand Bahia Principe Punta Cana in December 2015 eager to make precious memories on their much-anticipated family honeymoon break. Unfortunately, the Portsmouth familys trip soon nosedived as within 48 hours of their arrival at the four-star resort, newlywed mother Kelli was struck by nausea, abdominal cramps and diarrhoea. The following day, Kellis young son, Henry, began to suffer from diarrhoea putting all holiday hopes firmly on hold. Although Kelli reported her concerns to hotel staff, she remains angry that her complaints were largely met with disregard and adds that the Thomson rep left the resort to go on annual leave during their ruined stay. Once back in the UK, the Bickertons illness ordeal proved to be far from over as Kelli remained plagued by repeat illness symptoms for a number of weeks, causing further distress for the newlywed bride and mother. Kelli turned her anger into action and resolved to pursue a claim for gastric illness in the Dominican Republic with Industry leaders Holiday Illness Claims. Travel law expert, Tracy Stansfield represented both Kelli and Henrys claims for compensation on a no win no fee basis. The experienced solicitor successfully negotiated a total pay-out of £3,800 for the stricken pair with tour operator Thomson. Commenting on the case Tracy said: I am delighted to have achieved a positive outcome for Kelli and her son Henry after illness devastated an important family holiday and celebration. Gastric illness remains one of the most common causes of holiday illness and in our experience, is often the result of breakdowns in food or pool hygiene. I would strongly urge anyone who has been unfortunate enough to suffer from illness symptoms such as sickness or diarrhoea on a package holiday within the last three years to come forward and contact Holiday Illness Claims to see if you too are eligible to make a no win no fee compensation claim. At Holiday Illness Claims we understand how distressing falling ill on holiday can be. Thats why we work tirelessly to ensure that you receive the compensation you deserve in a quick and hassle-free, no win no fee claim. Our specialist solicitors have over 50 years combined experience in travel law and have developed an unrivalled claim success rate to provide you with the very best legal representation. To see how we can help you, call 0800 01 54321 and speak to a dedicated claims specialist. Or, if you would prefer a call-back, simply complete the online contact form and an experienced holiday illness lawyer will be in touch as soon as possible. For more information on what your claim may be worth, check out our holiday illness compensation guidelines.